Still playing catch-ups. Anyway, one of my December meals of 2013 was catching up with Chiara over dinner at Cottesloe Beach. Decided to head down to Bluewaters Grill and she made an online reservation that afternoon. Went down there, and the manager was all 'oh we don't have your reservation, sorry I havent looked online and checked." Erm, not a good start I should think that the management should be so slack. Anyway, there weren't many people so we got a table. I ordered the Duck Terrine for entree while Chiara had the Scallops Risotto which was big enough for a main! 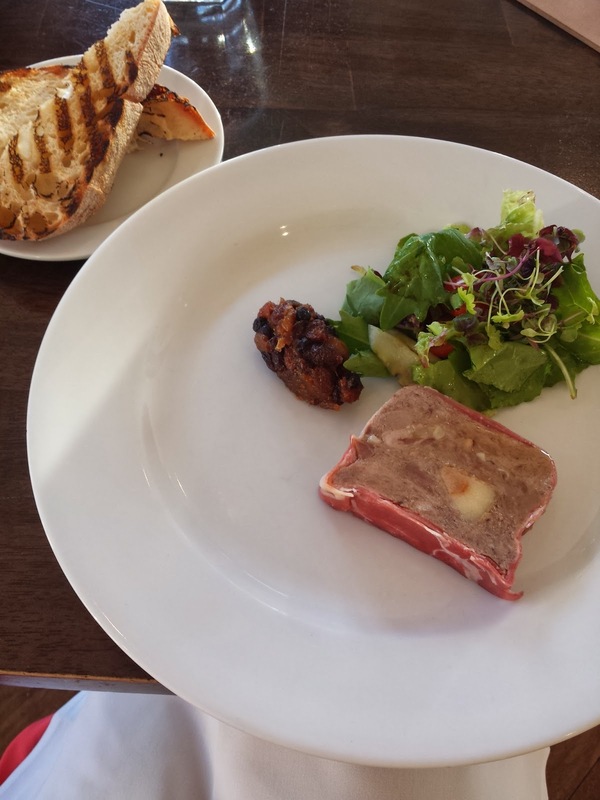 The terrine was alright, nothing spectacular. Abit dry. 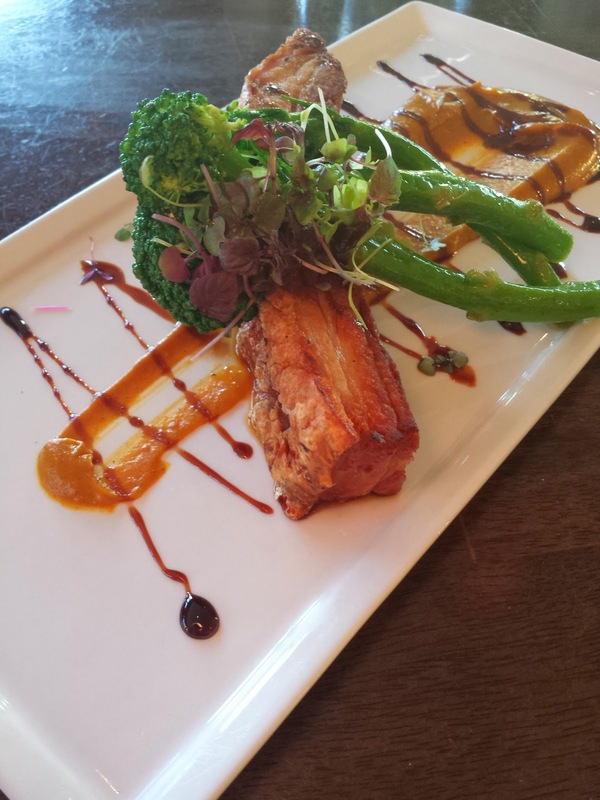 Chiara had the Crispy Pork Belly for mains and I had a try. It tastes better than it looks but it seriously look overdone. And it didn't taste super awesome too, it was a little too chewy than crispy. 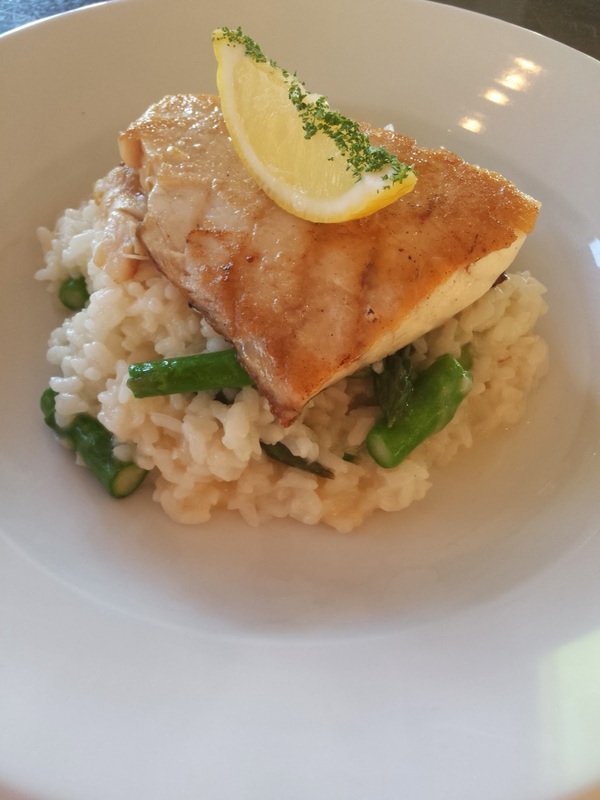 I had the special of Asparagus Risotto and fish. It was actually quite nice and light. Refreshing for a summer day. I didn't mind it. Big portion too. However, the whole dining experience (average as it was) was ruined by a bad service experience of a waitstaff whilst collecting our empty plates, spilled some wine onto the table as she accidentally knocked the glass. She didn't really say much and after a very long while, and rude stares from her, we realised she was not going to come clean up and replace the napkins. So we had to do it ourselves. It was just rude. Food was average and expensive, service was sub-par with obvious attitude issues. Safe to say, I won't be returning.